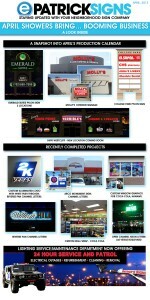 Galaxy Theaters Electric Sign Package is complete! June eNewsletter is here. Check out what your number one sign company in las vegas has been up to! Las Vegas Wrap Company Patrick’s Signs Does Paint Wraps!